Young Living Essential Oils - Allison Roseman - Get Involved. Make Friends. Enjoy Motherhood. A MOD Moms business. 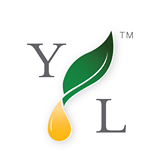 We provide education about Young Living essential oils, which we are passionate about. The company’s proprietary Seed to Seal production process produces the most authentic essential oils in the world. We believe these pure and powerful oils are life-changing for every family and lifestyle. MOD Moms Discount: Mod Moms will receive whole sale pricing on any order with Young Living. When you become a member you will receive an additional $35 worth of educational materials to help you on your journey. Also, if you host a class we will give you a free bottle of Stress Away. Those that you invite to your class will also get free Zyto-Scans (a $25 value).